On the Road at William B. Umstead State Park! Today my wife, daughter and I went to William B. Umstead State Park for the first of their “100 S’more Years Events”! The weather on this day was cool, kind of cloudy, but that didn’t stop us from having a great time! 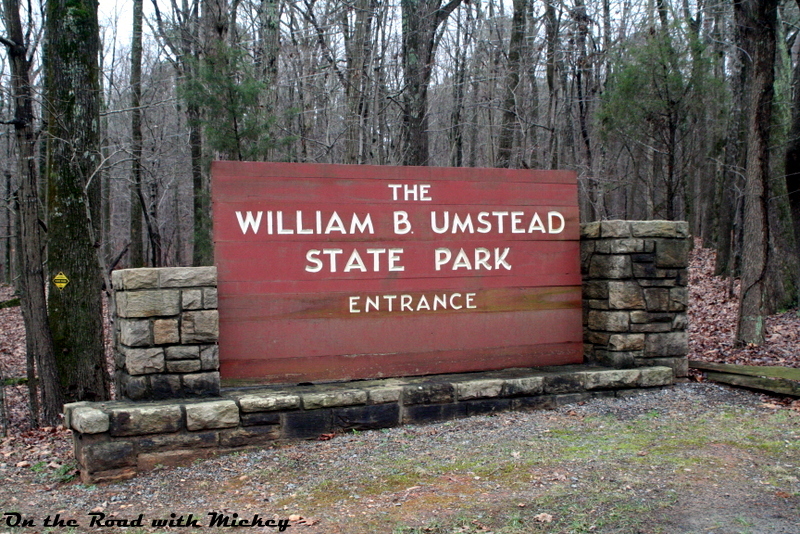 Umstead State Park is approximately 6,000 acres of land. That’s over 9 miles of park! Umstead Park features 22 miles of hiking trails, and 13 miles of bridle trails for those that wish to ride horses. Additionally, the park features mountain bike trails for those that wish to ride their bikes — Umstead Park is one of the few North Carolina State Parks that features mountain bike trails. Camping: Umstead Park features both traditional camping as well as primitive camping opportunities. The tent/trailer campground is open from March 15 – December 1st, and the primitive campground is open year round. Additionally, there are two group camp locations that are open from April – October for youth and non-profit camp organizations. Fishing is allowed, with a North Carolina fishing license. Common catches include bass, bluegill, and crappie. 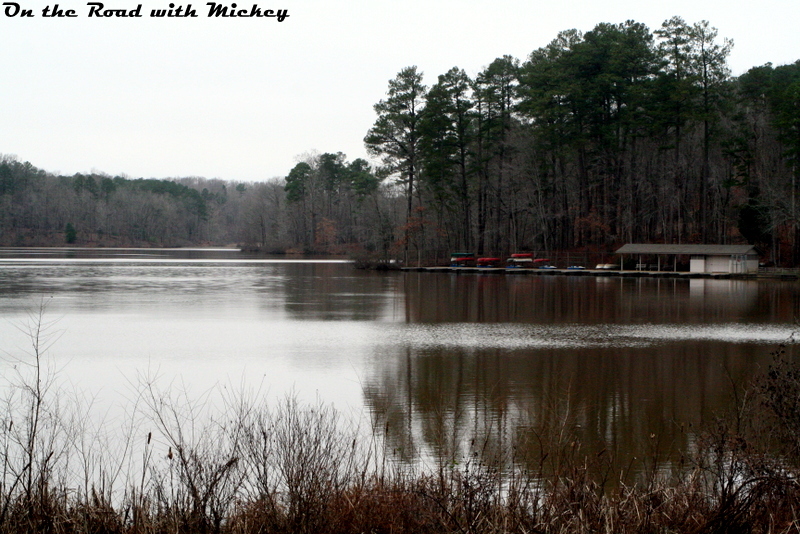 Umstead Park offers canoe and paddleboat rentals from April through the second week in October. No private boats or gasoline powered engines are allowed. So, as you can see, there are many opportunities to enjoy some great S’mores! This is just one of several opportunities across the state to help celebrate the 100th anniversary of North Carolina State Parks. Will you participate in any of the events? Check out the Centennial Events page for more details, and have fun! 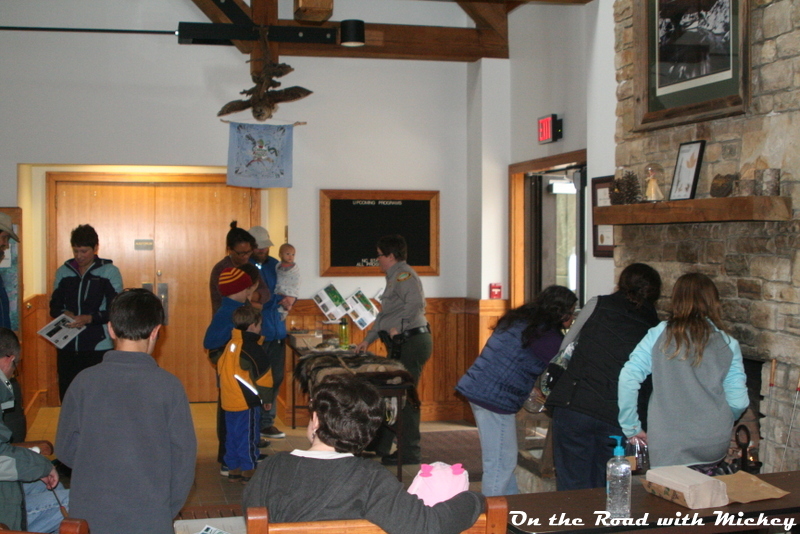 In addition to enjoying the S’mores event, we also looked at many of the exhibits they have in the visitor center and drove around the park a bit. Here are some of the photos that we took from our day, I hope you enjoy! 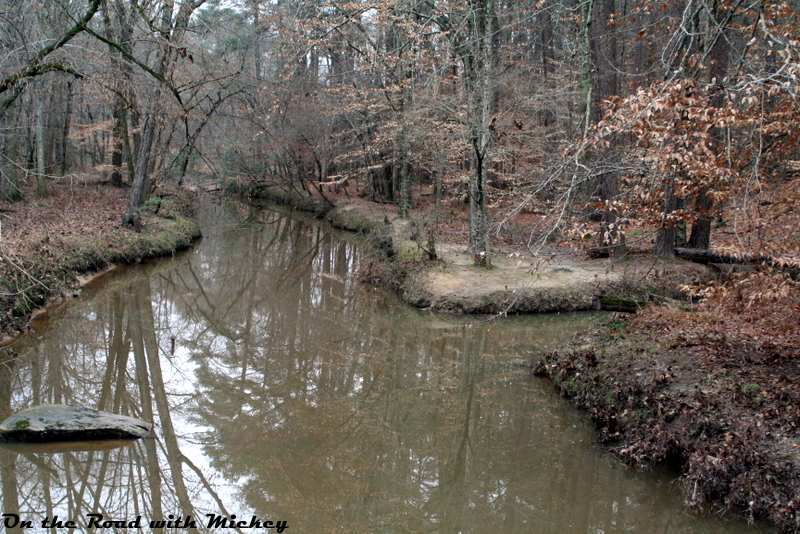 One of the creeks that winds through the park. Image credit: On the Road with Mickey. 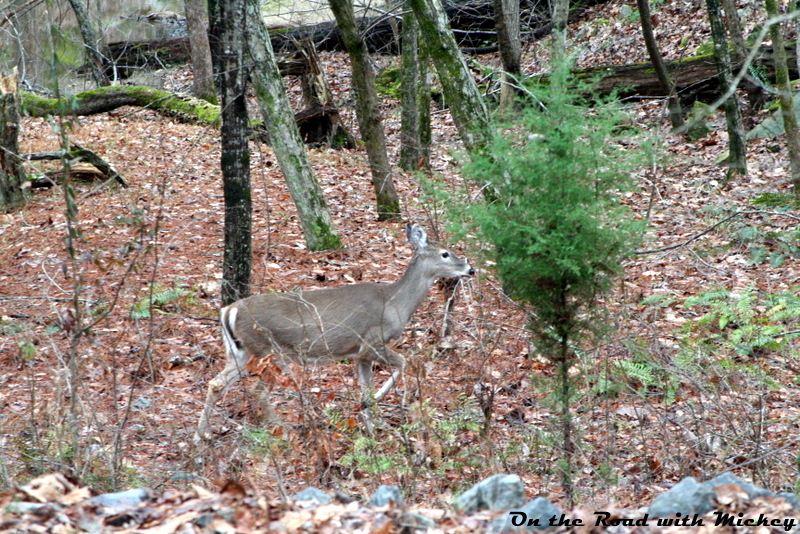 Right by the road was one of the parks wildlife, just watching us. This was one of three we saw. Image credit: On the Road with Mickey. 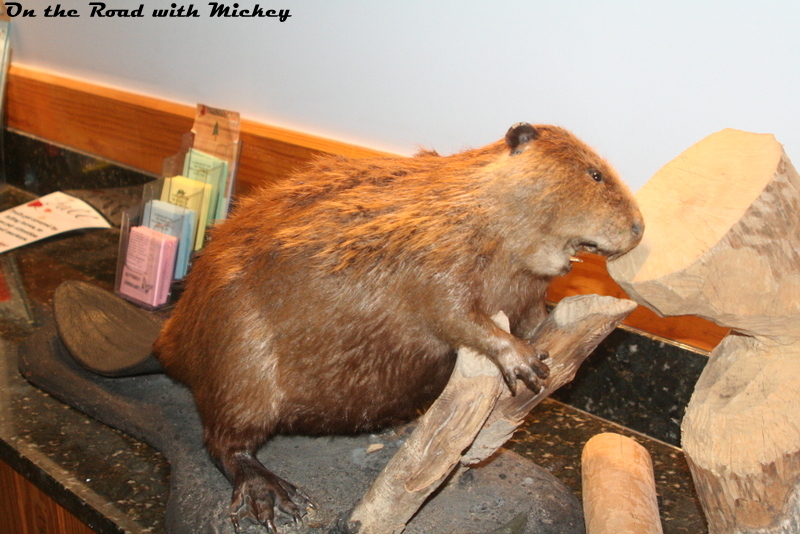 In the Visitor Center, a taxidermy of a beaver is on display. Image credit: On the Road with Mickey. 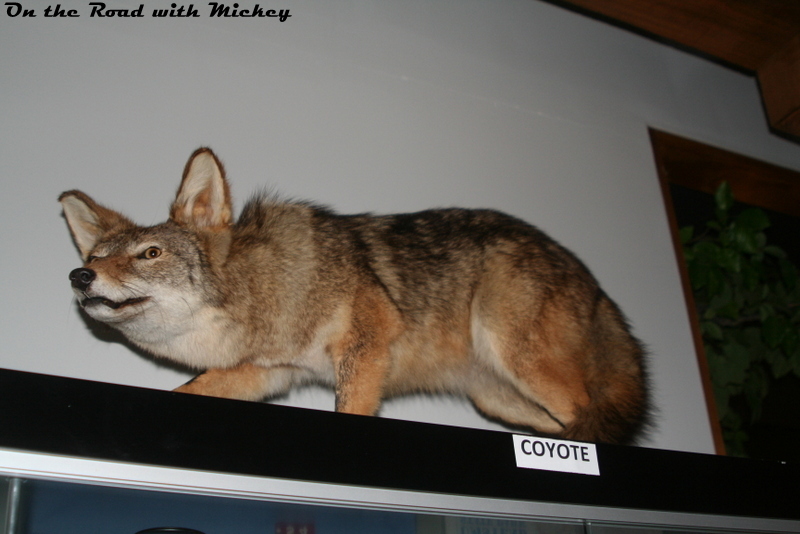 A taxidermy of a coyote at the Umstead State Park visitor’s center. Image credit: On the Road with Mickey. Celebrating 100 Years of NC State Parks! Disney Gift Card Giveaway at Mousenapped!